I could not have planned this post any better! What better way to spend a grey and rainy day than with a cup of something hot and a good book! Today, I’m sharing with you the five best books I read in 2018, ranked! Last year, I almost doubled my original goal of a book a month and these five were the standouts from the 23 that I finished (this year I’m shooting for 30!). I can attribute my reading frenzy to three things: 1) Bad on Paper Podcast - seriously if you haven’t listened yet, you need to!! 2) my own book club with friends - so so fun! 3) Brett being gone for work for the majority of the year and me not wanting to rot my brain out with TV while I sat in my house alone with my dogs. This year though Brett’s going to be home A LOT more (yay!!!) this, so I hope I can still manage to fit in 30 books. I guess I’ll just have to make my baths exxxtra long (sorry babe!). Since, I’ve already properly reviewed each of these books in months past (I’ll link the reviews, so you can read them), today I’ll just be sharing a short quip about the book and who I’d recommend it for. So without further adieu, here are my five best books of 2018. A super quick and entertaining read about a whirlwind romance that goes strangely quiet when Eddie stops returning Sarah’s phone calls. She knows he loves her, so what does he know that she doesn’t? Perfect for a vacation or day home sick in bed. 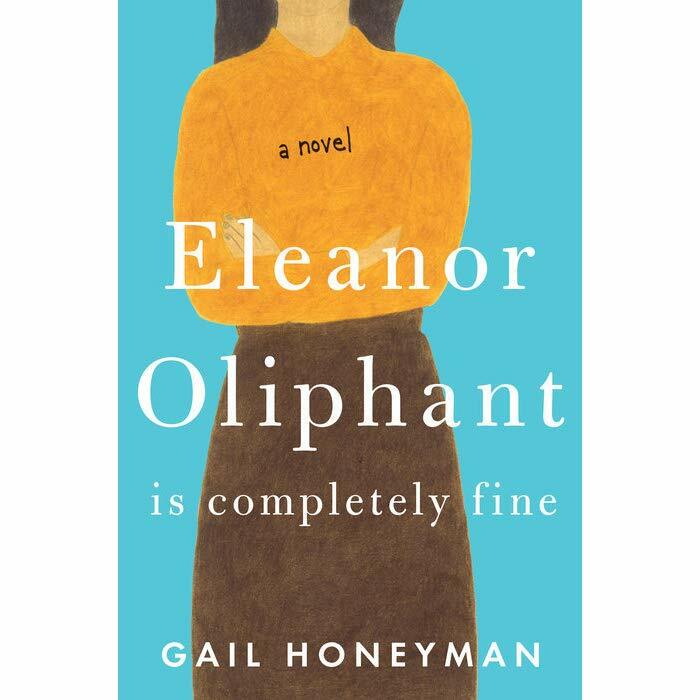 A unique story about a very unique woman, Eleanor Oliphant. This novel takes you into the inner workings of a mind coping with trauma and how to be a decent human being to everyone. I’m very excited to see this one come alive on screen hopefully sometime next year! Perfect for anyone and everyone. A fan-fiction story that parallels the romance of Kate Middleton and Prince William in college and beyond. So fun and juicy and you’ll be googling what was real all night! Perfect for any royal obsessed person. The first personal book club pick and it was amazing (great pick, Shay!)! Follow the story between two women in different decades and find out how their lives intertwine in an amazing and heartwarming way. Perfect for a historical fiction lover. Jaw dropping, heartbreaking, and inspiring are the first words that come to mind when I think of Educated by Tara Westover. The memoir shows a raw look at the life of Mormon extremists and the price Tara had to pay to be educated. This book will particularly affect Christians when you read how God’s Word is twisted and used to manipulate. Perfect for everyone! A MUST MUST read. I’m so excited to see what next year’s list looks like! If you’ve been reading for awhile you know how much I love books and I’m so glad so many of you do to! Books will be a much larger part of the blog this year and I’m planning to make a dedicated tab in the navigation bar just for books so you can see my reviews, tips on how to be a better reader, and more! In August I wrote a post about my favorite books I’d read over the past 3 years, you can check that out here, if I had to redo that post I’d be adding Educated and The Perfume Collector for sure! What were your favorite books of 2019? Also, follow me on Good Reads to see what I’m currently reading throughout the year. It’s a strangely addicting site/app! If you’re in LA, enjoy the rain and happy reading!